It seems like Microsoft’s Hololens might be seeing the battlefield soon, literally. Microsoft has signed a $480 million military contract with the U.S. government to bring Augmented Reality technology to soldiers. The Hololens contract was reported by Bloomberg. The headset will be used to train soliders and also during combat. Micrososft will be producing as many as 100,000 Hololens headsets as part of the contract. Training will be a key part of Hololens’ job description and probably the real reason why Microsoft signed the contract. One of the most important aspects of the contract was to enable “25 bloodless battles before the 1st battle.” It seems Hololens will prove useful even before the battle starts. 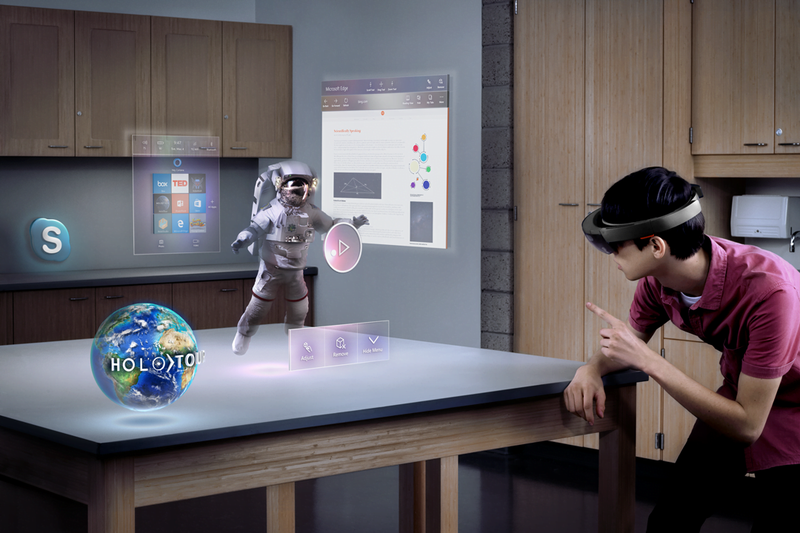 Microsoft beat out other augmented reality headset manufacturers such as Magic Leap. The tech giant had already sold headsets to the army, but never at such a great scale. Magic Leap had previously only focused its energy on the consumer market but Microsoft wanted to target Hololens towards enterprises. It seems the army had done extensive research on how Augmented Reality works and how it would serve in a military scenario. It mostly researched how AR could transform the combat and training visual backgrounds. The Hololens version made for the army will be quite futuristic. It will have night vision and thermal sensing, according to Bloomberg. Both these features seem like they were picked right out of a Sci-Fi movie. The army hasn’t stipulated much else to change. The contract states Hololens’ Field of View to remain between 55 and 110 degrees. Other conditions insist that the headset should be attachable to current military helmets but should not be heavier than 1.5 pounds. Hololens would assist in keeping a track on weapons and would enable soldiers to view simulated fire from their actual weapons. Hololens will also assist in training with weapons like Javelin missile systems in different simulations. Microsoft would be expected to supply a minimum of 2,500 units of the headset to the military branch within the coming two years. This contract is just an early framework of things to come. This will for sure put Microsoft on the AR map. This will also help Microsoft get a headsup in the AR enterprise market. This is a surprising move on Microsoft’s part as Tech companies are usually considered liberal, and do not engage themselves with the army. Google was forced by its employees to stop projects for the military. One such project was the $10 billion JEDI contract for the Pentagon. Project JEDI would have made all of Pentagon’s confidential data available on cloud, which on paper sounds like a terrible idea. But Google would obviously have focused all on ensuring the cloud is as secure as Fort Knox. Google dropped the project after much retaliation from employees and the public. Let’s see if Microsoft goes ahead with the contract, or takes a step back and reevaluate its principles.